If you want to extend your analysis by looking at other Metrics and Reports that contain the information that may be relevant to the element being viewed, the See Related button on the Viewer provides links for immediate access. This drop-down list contains other elements that contain common or similar information. Selecting links to other elements, one by one, allows you to open and explore other elements and analyze trends to gain more insight into the results. The See Related button provides you with quick navigation to the selected element. 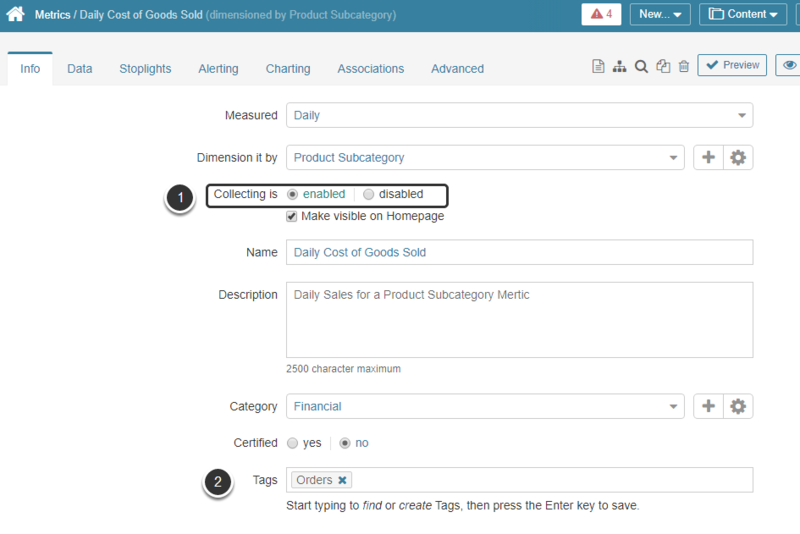 The See Related drop-down list is available on Metrics, Multi-Metrics and Reports. 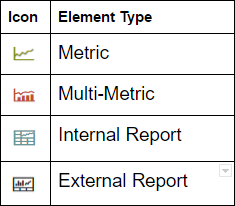 Currently, only the "Related elements by 'Measurement Interval'" feature is supported in Dataset Reporting. To open the list of elements that have common or similar information with the element being viewed, click See Related. The drop-down list with elements opens. If you are searching for a specific element(s), enter its full name or key word into the Search field. If your element is Dimensioned, related elements with the same Dimension will only display the link for the same Dimension Value. 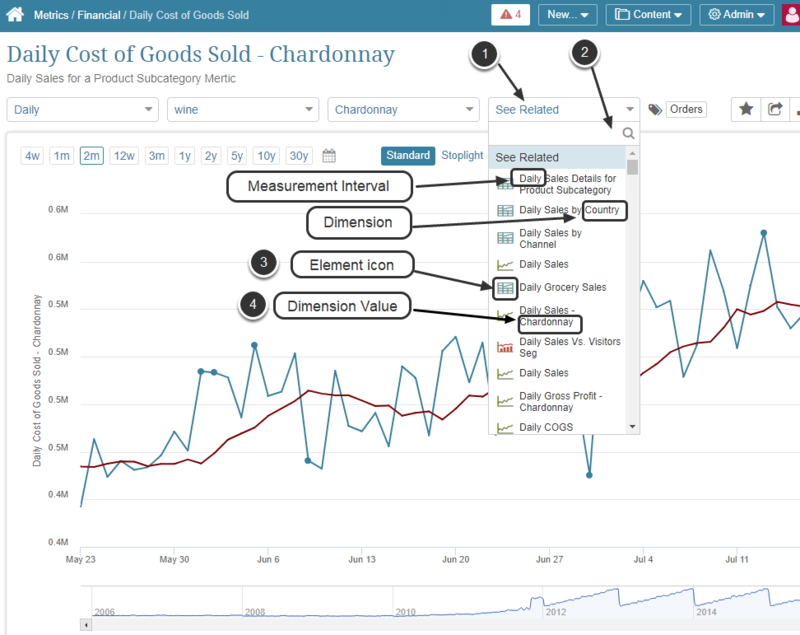 In this example, since your Metric has a Dimension Value of 'Chardonnay', any element that is dimensioned by same Dimension (Product) will link directly to the same Dimension Value. Elements dimensioned by a different Dimension (Channel) will link to the first Dimension Value by default (Australia). 3. How is 'See Related' drop-down list populated?